The number of people who blog have increase over the years and I have learned a lot by creating this weblog. Nielsen (2005) said that “blogs are often too internally focused and ignore key usability issues, making it hard for new readers to understand the site and trust the author.” Therefore, as a blogger, we have to know the do and don’t for a weblog. Firstly, what I have learned is that as a blogger, I have got to make sure that I will be able to update frequently in order to keep the reader’s loyalty. Nielsen (2005) also stated that “for most weblogs, daily updates are probably best, but weekly or even monthly updates might work as well, depending on your topic.” Hence, it is best to update every day or at least once a week and it is best to leave some ideas behind and post it when you have nothing to post or when you are out of ideas. In addition, it is good to avoid mixing the topics. If you publish on many different topics, you’re less likely to attract a loyal audience of high-value users (Nielsen, 2005). This is because by mixing too many different topics in a post, the readers will feel confused and slowly they will tend to lose interest in reading the weblog. BitTorrent is the best known for their illegal file-sharing. It offers a peer to peer download system adjusted for large numbers of downloaders. Currently, BitTorrent is trying to go straight with a legitimate service for digital music. As part of that effort, they had teamed with musicians to release special content bundles, and had now unveiled a new suite of tools at the SXSW festival in Austin, Texas. Mike Fiebach, the CEO of digital marketing agency Famehouse, collaborated with BitTorrent to promote new music by artists with large followings including DJ Shadow and Pretty Lights. “It’s advertising, essentially. It’s free content for fan acquisition, which yields money at some point down the line,” Fiebach said in the article by Holpuch (2013). I personally think that it will be hard for BitTorrent to go straight with a legitimate service for digital music as they are such a well-known file-sharing download system in the market. It might be a real good advertising tool for the new music artists to promote their songs but it wouldn’t last long. Their music was supposed to be copyrighted and their album sales record will then allow them to know how many people like their songs. However, the new music artist will not know how many people actually like their songs by file-sharing their music on BitTorrent. They might know how many people actually downloaded their songs and it does not mean that the people who download their songs like it. I am sure that music artist will feels proud and happy when they see that their album sales record is high and able to attract more music lovers. Thus, by collaborating with BitTorrent to promote new music artists might not make a big hit in the market. They might be getting several responses at first but I personally think that it will not last long as the music artists will wish to get affirmative by everyone around the world. In today’s world, whenever we go many of us will often take pictures especially when we are on holidays. However, recently photographers in Australia were made redundant this week. 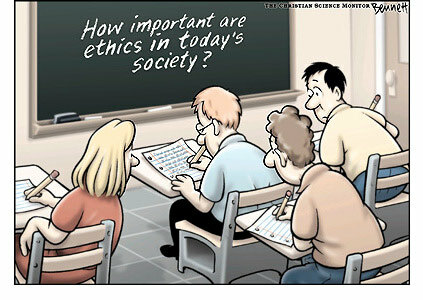 I am sure that most of the people do not know that even photojournalism has its own ethical and principles as well. Lester (1999) stated that there is growing concern that new technological advances that allow easy and undetectable picture manipulation cause the public to be unconcerned about the truthful content of photographs as well. In 2011, the clothing company United Colors of Benetton Launches the ‘Unhate’ Campaign. In support of the Unhate Foundation, United Colors of Benetton had come out with an advertisement that features the doctored photos of world leaders kissing each other and that the Italian-based company said aims to combat a “culture of hatred.” One of the pictures of the advertisement was featured a fake picture of Pope Benedict XVI kissing Ahmed Mohamed el-Tayeb, imam of Al-Azhar mosque, a prominent Muslim house of worship in Cairo, Egypt. Other advertisement pictures also features fake photos of U.S. President Barack Obama kissing Chinese leader Hu Jintao and Israeli Prime Minister Benjamin Netanyahu kissing Palestinian President Mahmoud Abbas, among other pairings (Gilgoff, 2011). “In the field of advertising, the most elemental rules of respect for others can be broken in order to attract attention by provocation” said by Holy See in a statement about the advertisement. United Colors of Benetton said that “the central theme is the kiss, the most universal symbol of love, between world political and religious leaders.” He wanted to promote peace and harmony between people of different cultures but he ended up getting himself in a lawsuit. From his point of view, he just wants to raise up the issue of the hating around the world but he has forgotten to put into consideration that by using their pictures without any permissions was an act of disrespect. In conclusion, although there are many photos editing programme in the market, the photojournalism or the professional photographer have to use it wisely. In other words, the use of the photo editing programme that we have now in the market is pretty terrified. The photojournalism should have more responsibility so that it gives us the right to call photography a profession rather than a business (Lester, 1999). We very often asked that whether the things that the producers of the document publish are the truth or are there any hidden stories behind it. In the article, it stated that “when the government and TEPCO gave only partial facts or no facts at all, the resulting reports became inaccurate or simply wrong. The credibility of the press — as well as the authorities — fell sharply.” This is because when only some part of the facts are given to the reporters; the reporters will tend to create their own stories to make it like it is the true story to fill the gap that the facts which are not given to them. However, in the article it stated that it is “healthy” to have a certain level of distrust in the media publishing. Besides that, in the article, Sakurai said that “if the media do not step in and get all the direct information, they will never be able to get or tell what really happened” which I think it is true. If there are no reporters or media to run over the world to make news and capture things that we are not able to see, we will not know what is happening around us. In today’s world, “when people wanted to know more than the limited reports by the mainstream media, they turned to the Internet and found expert opinions or information from the overseas media.” According to Osborn (2001), the internet provides the news content equivalent to thousands of newspaper each day through websites, emails, instant messengers, listserv, discussion groups or personalized homepage. News can spread very fast through the Internet especially on the social media site. “Opinions from people who actually know about the relevant areas, instead of critics, are much more convincing,” says BLOGOS editor Kota Otani from the article. In conclusion, most of the news out there is mostly being added by the journalist itself due to the some facts that are not given to them. Hence, we have to learn that sometimes what we saw and what we read does not tell the true stories of it unless there are people to experienced it and tell the story of it. An eBook is an electronic book that you are able to read digitally on your computer, laptop screen or on devices (Atlanticbridge.net, nd). Most of the young adults now are more relying on e-books than the print-books. This is because that the e-books are more convenience as compared to the print-books such as the e-books readers just need to surf the net and search for the books that they want whereas the print-books readers have to take several kind of transportation and go to the bookstore to search for the books that they want. A recent study, it showed that one out of five French people has already read an e-book, but also that more than half of them declared they would never touch one. It was as though e-books were not even within their scope. It was disconcerting. However, a few months later, it took no convincing at all to get other French publishers on board for direct-to-digital English translations. In 2012, e-books only represented 0.6 percent of total book sales in France. That number is expected to reach 3 percent in 2015. Their publishers in France are now fully aware of the importance of having a digital offer that is as attractive and as broad as possible. According to JISC (2008, pg 43) stated that an e-book will encourage new readers by producing the e-books in an attractive format. This is because the editors are able to create finished documents with most of the design features that are available on the computer software by publishing the e-books on the internet. Reep (2006) also stated that desktop publishing has expanded the writer’s role in producing technical documents. Besides that, they are able to reach a wider audience compared to publishing it in a print-book. In conclusion, there are no doubts that the e-books are slowly coming up in the market. We can now “imagine that a child will just have one e-book to carry around to school where they do not have to carry around their heavy text books and there will be not have any backpacks or bookbags to be left on the bus or lost somewhere between the school and home” (Atlanticbridge.net, nd). 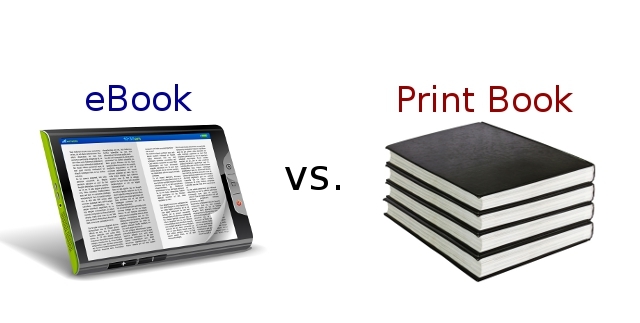 However, from my opinion, I think that the e-books will not replace the print-books, at least not now. An article from Atlanticbridge.net (nd) stated that being a writer and avid reader for years, he finds that it is the feel and smell of a book that makes it interesting as the whole experience of reading. Reep, Diana C. 2006, ‘Chp 6: Principles of Document Design,’ in Technical Writing, 6th ed., Pearson Edu, Inc., New York, p.136-153.